A trip down Kennack Sands, Cornwall. Living in Cornwall has so many advantages and The lizard and all the beaches around the lizard peninsula is one of them. There are some lovely beaches and they are all great locations to take your children as well as an awesome place to take portraits of kids and adults alike. A rare portrait of me at Kennack sands, The lizard. 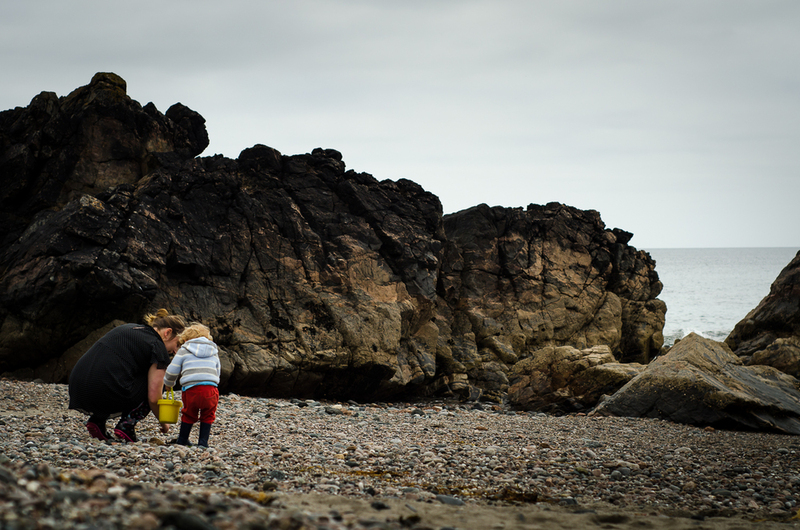 As you can see all of the family enjoyed the rock pools and climbing over the stones. was an overcast day but warm for May which was welcome. The break of sunlight meant we had to head home with a lack of sunscreen. Kennack sands is a small beach near the village of Kuggar near The lizard Cornwall. There is two beaches there separated by a small hill that you can trek over. There is also an array of rockpools and another beach to the right as you come onto the beach but this is only accessible when the tide is low. Its well known for the surf and can regularly have a rideable wave. It also has a history of shipwrecks which when the tide is real low can sometimes be seen. In general its a pretty quiet beach and it's out of the way which is nice though on a summer saturday you will find quite a few people on the beach. As it was the beginning of half term we saw quite a few people down there and it looked like quite q few holiday makers have made their way down here already.